Since I’m staying home with LM these days, I find it harder to tell what day of the week it is. Add to that the fact that my husband is taking some time off from work, I really tend to lose track of days. The only way I know it’s a weekday is because big J is off to school and it’s quiet at home. So no wonder I’m a little confused about days and times and holidays. I know I’ve already posted Christmas crafts and ideas, but here I am, finally posting for the holiday that comes first. 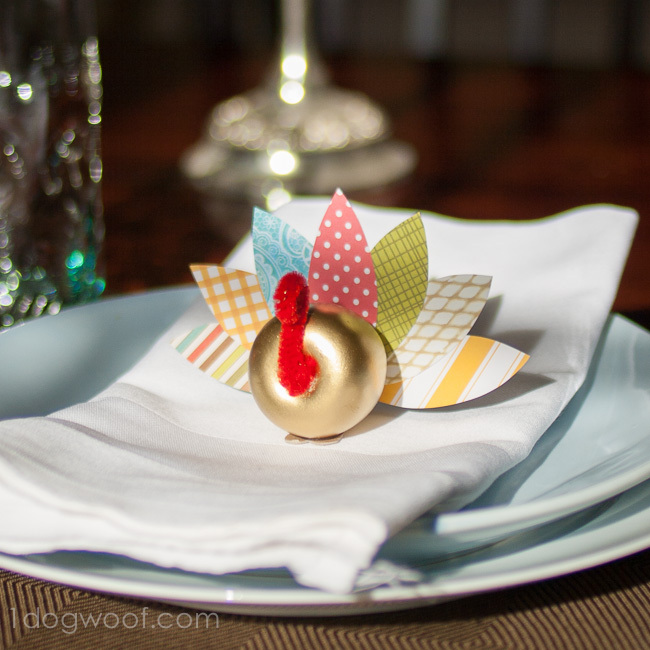 Good thing this little Thanksgiving turkey craft is a quick project, so you can whip up a few for next week! You know, in between the cooking and cleaning in anticipation of the guests and the feasting and the shopping! My original idea was to make a bunch to use as Thanksgiving place settings, but I got short on time and LM refused to settle down while I was trying to get stuff done. So, I only have a prototype and two turkeys. The prototype will be destroyed by J before the weekend, and I’m saving the other two as place settings for the kids’ table at Thanksgiving. Small fake apples. I guess you can use real ones too, or large fake apples. 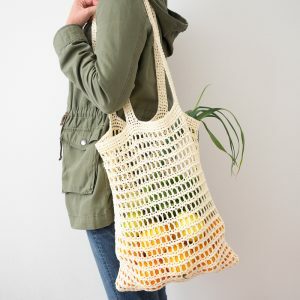 The large fake apples were rather expensive at the craft store, so I bought a bag of small ones. 1. Spray paint the apples. This step is optional. A big fat red apple would also work great as a turkey body. Let dry. 2. 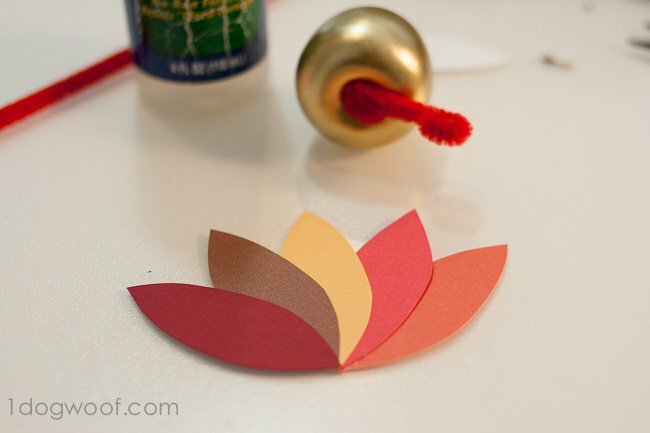 Cut out the back tail feathers from your scrapbook paper. This is the fun part, choosing your tail feathers! 3. Cut the stem off the apple as close as you can. 4. Cut a 3 inch piece of red pipecleaner. 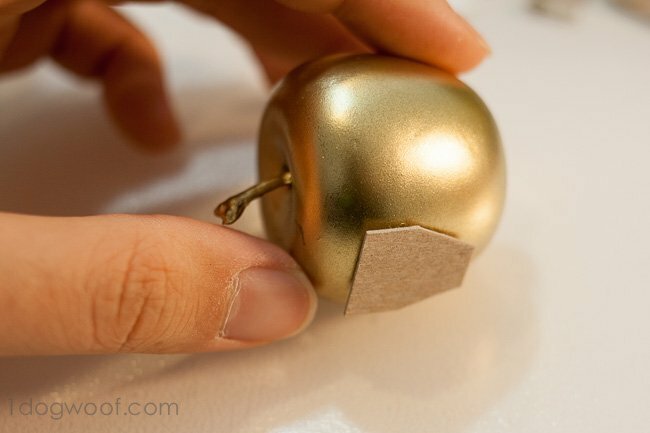 Bend one end to make the head, and curl the other end to make it easier to glue to the apple. 5. 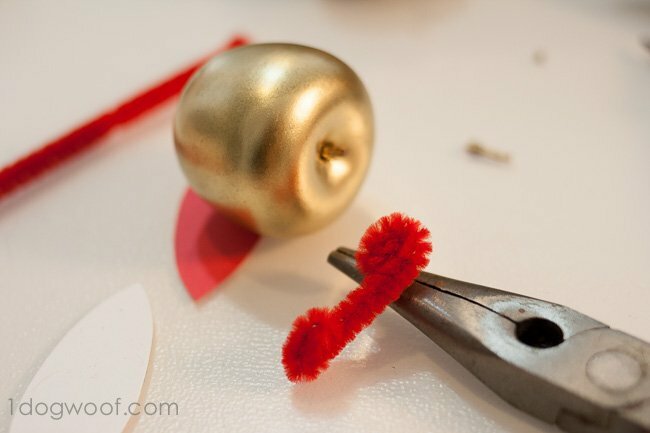 Add a dab of hot glue to the stem side of the apple, and glue the pipecleaner to the apple. This is the neck and head of the turkey. 6. Glue the tail feathers in the pattern you want, and then attach the completed tail to the bottom of the apple with a dab of hot glue. 7. Cut a small square of cardboard and attach to the bottom of the turkey to help it stand on its own. I’m not sure what to call this, other than an Apple Turkey. 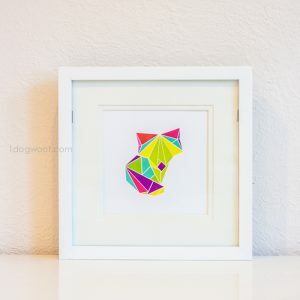 I mean, it doesn’t really function as anything; it just sits there, but it’s cute and colorful, and cheap and easy to make. 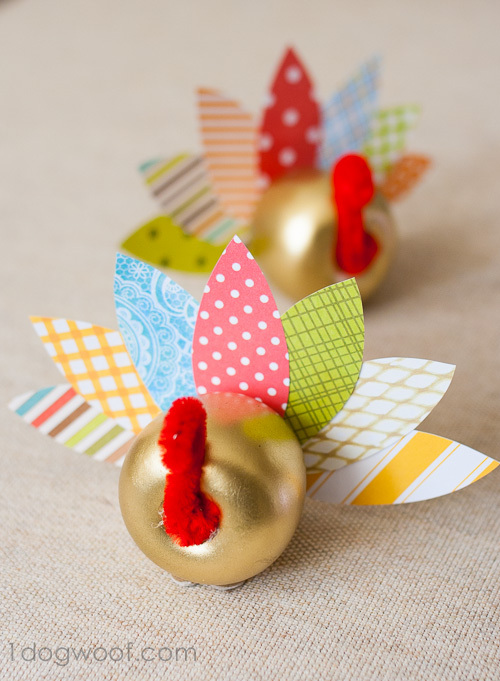 If you are better at spray painting than I am, glitter up the apple for a fancy pants turkey. 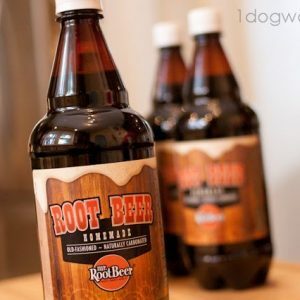 That’ll really dress up your Thanksgiving tablescape! If your mind and crafting supplies have already moved on to Christmas, why don’t you make an Advent Calendar for December? There’s only a few days left. 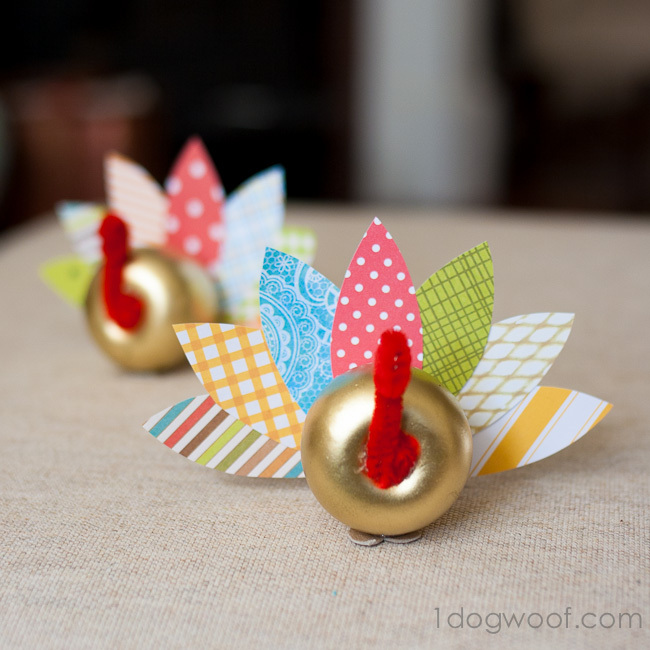 Or get a head start on the holiday gifting with some homemade gift tags! Too adorable. You could turn it into a placecard holder if it “needs” a purpose. I think it’s lovely just the way it is. Thank you! I don’t normally make stuff that have no purpose, so I was trying to justify this one in my head, but I’m pretty pleased with the cuteness factor. Plus, I think the kids will get a kick out of them come Thanksgiving day. And if I get 5 minutes of quiet because they’re playing with these, that’s purpose enough! So cute! I love these little fellas! Thanks! 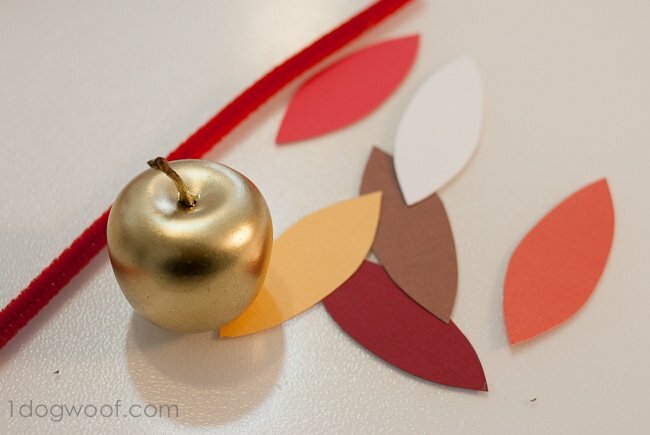 I saw something similar in the background of a photo somewhere on Google and was going to make it with real apples, but then, it would have gone bad before I could use them for Thanksgiving!